I have had the great opportunity to participate in Quilt Design a Day, and share some of those designs as tutorials on Sew Mama Sew. 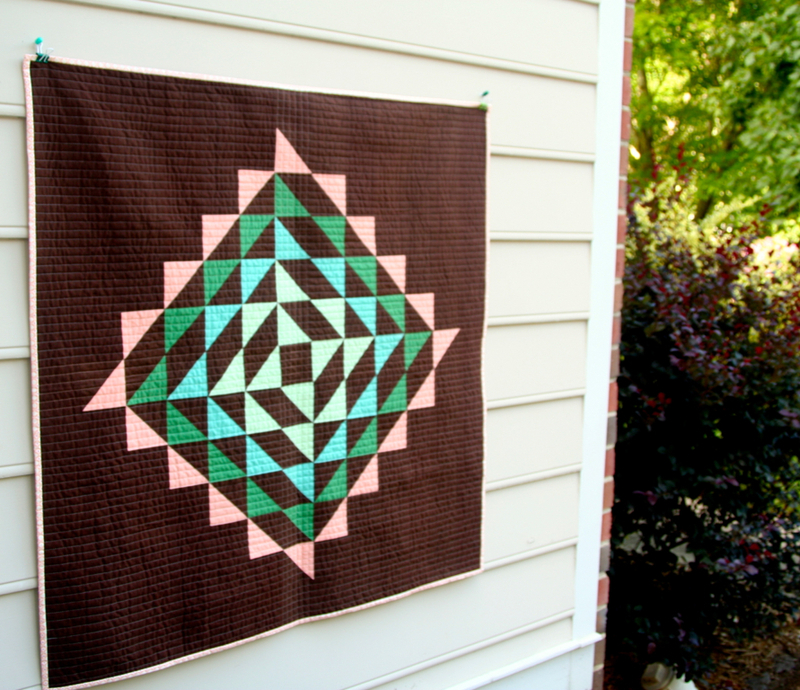 My favorite project so far is my design “Succulent” (tutorial to make this quilt can be found here). This color palette (that was supplied by design seeds) was so far out my comfort zone which made this so appealing. The second time was much better and complements the quilt so well. 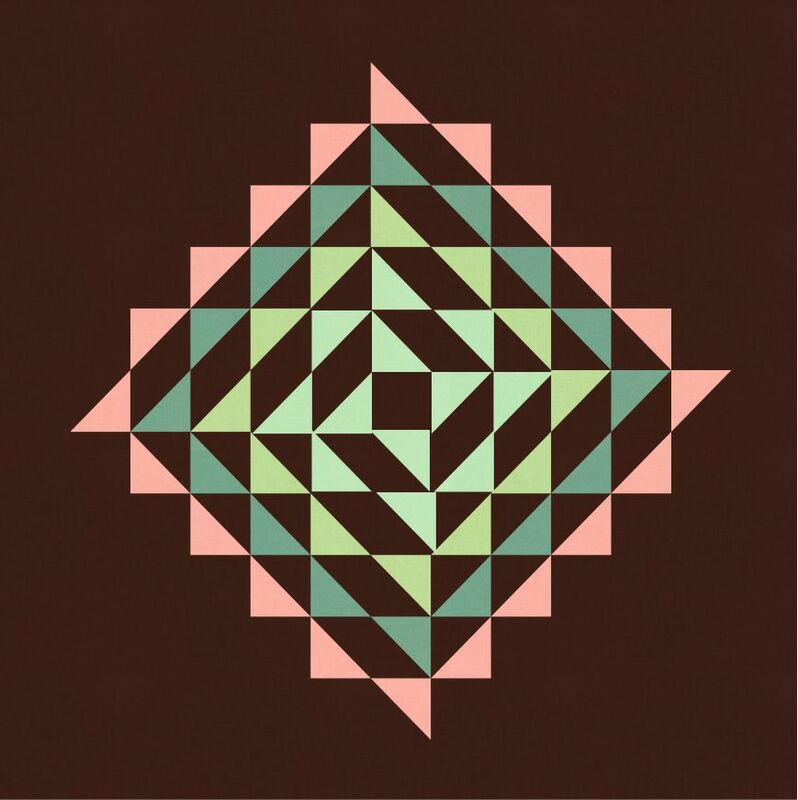 It has some straight line quilting with a focus on the middle intersecting lines. These I quilted in a peachy color and sewed both the vertical and horizontal lines. I am entering this quilt in Amy’s fantastic Bloggers Quilt Festival in the Original Design category. Don’t forget, if you want to make one of these the tutorial over at Sew Mama Sew. Voting starts tomorrow for the festival. 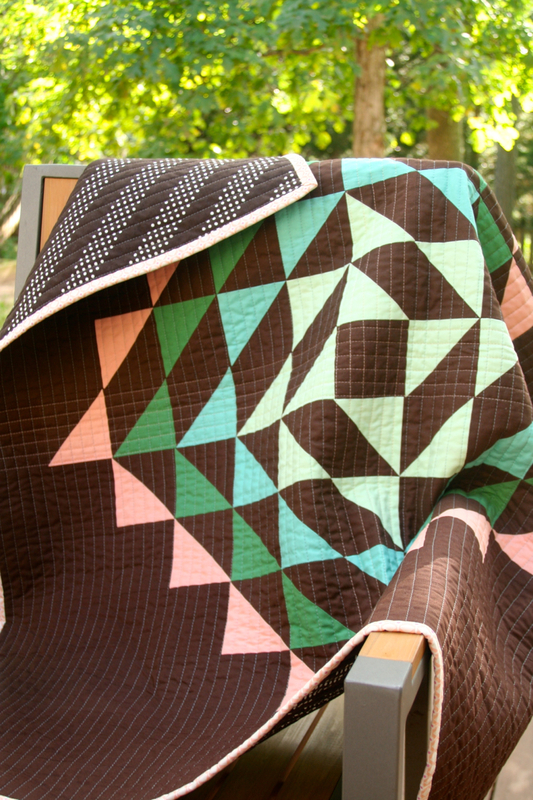 This entry was posted in Uncategorized and tagged Bloggers Quilt Festival 2014, Sew mama sew, succulent, tutorial on November 1, 2014 by mlwilkie. Beautiful quilt! I really like that you take your QDADs and actually make them! The color pallet is out of my comfort zone too but so striking. And the quilting is perfect! 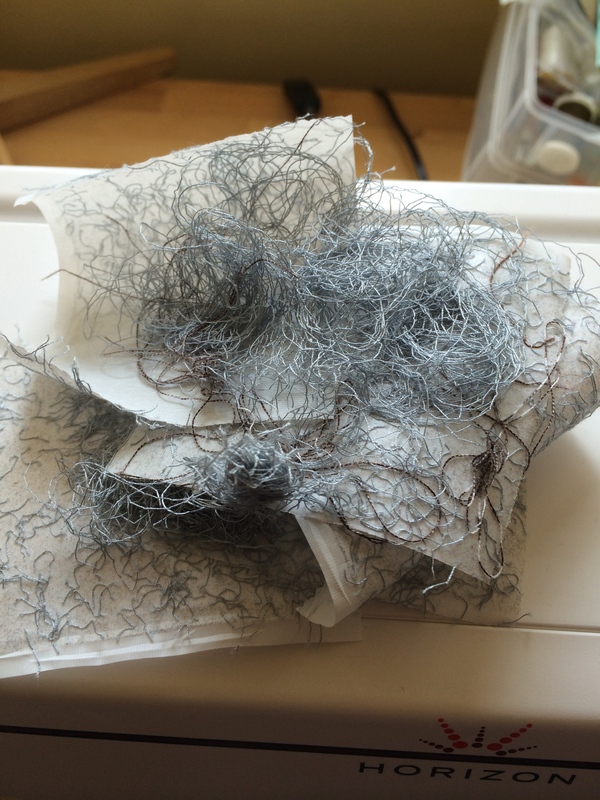 I have piles of thread like that at my house too 😉 Such a pain but so worth it in the end!